The NEC 1100111 is a 16-Channel VoIP Daughter Board that provides 16 VoIP channels. It is equipped with 8-conductor jacks and ferrite core and is required for IP telephones & IP trunks. 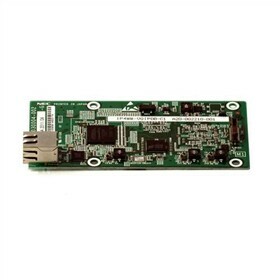 This daughter board can be expanded up to 32 VoIP channels with the 16-Channel VoIP Resource License and installs in dedicated slot on CPU-B1 board. Installs In Dedicated Slot On CPU-B1 Board. The NEC 1100111 has many exciting features for users of all types. The NEC 1100111 is sold as a Brand New Unopened Item.